We ought always to thank God for you, brothers loved by the Lord, because from the beginning God chose you to be saved through the sanctifying work of the Spirit and through belief in the truth. He called you to this through our gospel, that you might share in the glory of our Lord Jesus Christ. There are a number of things about the work of God the Holy Spirit that are difficult, if not impossible, to grasp. In fact, in John chapter 3 Jesus compares the work of the Holy Spirit to the wind. Where does it come from? Where is it going? How exactly does it work? We see evidence of its activity, but there is so much we don’t understand. In the same way, we don’t understand exactly how God saves us through the sanctifying work of the Holy Spirit. Although there are things about the Spirit’s work that remain beyond human understanding, there is one thing concerning his work about which God wants you to be crystal clear. God the Holy Spirit works through the truth of the gospel. The fact that you are a brother or sister in faith is not due to your ethnic or social status. It is not the result of a fortunate set of circumstances or an accumulation of admirable accomplishments. You are a brother or sister in faith, you are a child of God, because the Holy Spirit has worked in your heart and life through the truth of the gospel. This truth has implications for your ongoing sanctification under the influence of the Spirit. If you don’t want your faith to grow; if, in fact, you want your faith to suffer; if you want your faith to weaken and shrivel; if you want your faith to die—then reduce your exposure to or separate yourself from the means the Holy Spirit uses to create and strengthen faith. Separate yourself from the gospel in Word and Sacrament. For as surely as the Holy Spirit works through the truth of the gospel, so surely does your neglect of the gospel cause great harm to your faith. If, however, you don’t want your faith to shrivel and die; if, in fact, you want your faith to grow; if you want your faith to be strengthened and thrive; if you want your faith to be living and active—then stay in touch with the means the Holy Spirit uses to create and strengthen faith. Seek and seize opportunities to be immersed in and washed over by the gospel. Stay connected to God’s Word. For as surely as the Holy Spirit works through the truth of the gospel, so surely will your engagement with the gospel bring great blessings to your faith. Indeed, this is why God chose you—that you might share in the glory of our Lord Jesus Christ. O Holy Spirit, even as you have called me to faith through the truth of the gospel, continue to strengthen me by that same gospel, that I might share in the glory of our Lord Jesus Christ. Amen. He who searches our hearts knows the mind of the Spirit, because the Spirit intercedes for God’s people in accordance with the will of God. People who don’t have much experience or know-how when it comes to home maintenance issues, occasionally speak, plan, and promise as if they did. While sometimes they figure things out and even do an adequate job, often they end up calling in a professional because they need help from somebody who knows what he is doing. When it comes to spiritual life, we think we can handle it on our own. We think we can come up with the right answers and the best strategies; and often we are sorely disappointed. We think we can know the mind, heart, and will of God simply because we think he is probably a lot like us. And then we find things not going as we thought they should. Maybe we even find ourselves confused or bitter and angry as a result. When it comes to knowing God and interacting with him, we need somebody who knows what he is doing. And we have him—the Holy Spirit. He is the one who knows all involved intimately and well. He searches hearts. He knows the mind and will of God. He intercedes for us; he goes as our representative to the very heart of God. He does it in a way that is perfect and deeply interested in our welfare. We don’t always know what is best for us. We don’t always know how or what we should pray. We sometimes lose track of the things that a good and gracious Father says are most important. But the Holy Spirit doesn’t. He knows that our greatest needs and the best free gifts from God are spiritual ones—forgiveness, peace, joy, hope. These he gives to us through Jesus and his Word. He knows our need for spiritual resiliency and strength, which he graciously gives us by connecting us to the truth in Christ. He knows our weaknesses and readily comes to our aid. The Holy Spirit does his work “in accordance with the will of God.” We will begin to better understand those prayer thoughts when we look for God and his will in his Word. We get a good idea of the Holy Spirit’s interceding as we learn the meaning of and pray for ourselves the Lord’s Prayer. He wants every lasting and gracious spiritual blessing for us in Christ. If you struggle with your thoughts and prayers, take comfort in knowing that at your side and before the Father’s face is one who knows what he is doing and he does it for you! Holy Spirit, we thank you for the way you intercede with our Father on our behalf. Help us to find confidence, joy, and peace in knowing that you do this precious work for our welfare. In Jesus’ name. Amen. For while we are in this tent, we groan and are burdened, because we do not wish to be unclothed but to be clothed with our heavenly dwelling, so that what is mortal may be swallowed up by life. Now it is God who has made us for this very purpose and has given us the Spirit as a deposit, guaranteeing what is to come. Therefore we are always confident and know that as long as we are at home in the body we are away from the Lord. We live by faith, not by sight. We are confident, I say, and would prefer to be away from the body and at home with the Lord. Today I sit in the monochrome waiting room of the specialist doctor’s office to which I was referred. Last night I went to the funeral home full of bright flower arrangements to attend the visitation for a man loved by many, now departed from this life. Last week I spoke with an adolescent young man who has an appointment scheduled to scan his body for any cancerous cells left following surgery. Tomorrow there is a good chance I will be very sore after my morning workout. If you’ve lived, you have had similar experiences. You know one day your body will give out and give up. There is a reason you sit in medical building waiting rooms and why your loved ones will one day gather for a visitation when you have passed. The bodies we have are tents for our souls. Tents are temporary dwellings, made from canvass, plastic, or fabric. They are set up for now, but soon they will be taken down. They rip and tear, and we groan through it. Even if you groan, you can have confidence always. The God who has created you has also created a new dwelling place for you. He has created a heavenly dwelling—a permanent home. It is yours to occupy, because of Jesus. Our current bodies struggle and fail, because our lives are filled with disobedience to our creator. If we were to stand before his judgment seat on our own, such disobedience would merit his disownment. Yet, God sent his Son, Jesus, to dwell in the earthly tent of a human body for a time. His death came before his body naturally gave out. His death was brought by the cross. Jesus willingly gave his life up to death to be disowned by God in your place. He did this, so you could one day be at home with the Lord, with a perfect body that will never give out or give up. Trusting in Jesus as your Savior, that is your confidence. Lord God, when I groan over the temporary nature of my earthly body, remind me that I can have complete confidence in the permanent home you have for me in heaven through Jesus Christ. Amen. [Jesus] also said, “This is what the kingdom of God is like. A man scatters seed on the ground. Night and day, whether he sleeps or gets up, the seed sprouts and grows, though he does not know how. All by itself the soil produces grain—first the stalk, then the head, then the full kernel in the head. As soon as the grain is ripe, he puts the sickle to it, because the harvest has come.” Again he said, “What shall we say the kingdom of God is like, or what parable shall we use to describe it? It is like a mustard seed, which is the smallest seed you plant in the ground. Yet when planted, it grows and becomes the largest of all garden plants, with such big branches that the birds of the air can perch in its shade.” With many similar parables Jesus spoke the word to them, as much as they could understand. He did not say anything to them without using a parable. But when he was alone with his own disciples, he explained everything. The Word of God is certainly ink blotches laid down on a page. It is sound waves coming from ear buds or a voice. It is pixels on a screen of a device. Sometimes, though, God’s Word can seem like only that. At times, God’s Word may seem to be even less than that as it can look and sound like empty words. Those Words may have seemed like mere words if we had been witnesses of Jesus’ ministry. His teaching made his own family think he was out of his mind. The Jewish religious elite thought he was demon-possessed. Was the Word working? We also can find evidence of the Word seeming to be mere words in the present day. Though there are some churches which are large and attract many, there are many more which are small, seemingly insignificant, and on the verge of closing. Is the Word working? There are people who acknowledge the Word but live contrary to it. Is the Word working? What about in your own life? Have you seen a marked change in yourself from day to day? In these two parables, however, Jesus helps us see what we cannot see with our eyes and hear what we cannot hear with our ears. Just as a seed is planted in the ground and we cannot see what is happing under the ground, so also is God’s Word. We cannot always see its power at work, yet it is at work to provide a rich harvest. If we try to use our eyes and ears, the working of the Word might just look weak, insignificant, and ineffective—much like a small insignificant seed. But the Word has power to grow, much like that small seed grows into the mightiest of plants. The Word of God is powerful, and it is at work among us today. It expands God’s kingdom around the world. It turns the rebellious into children of God. It renews you. It strengthens you. It is growing you into a mighty harvest which finally Jesus will come to gather to himself. Dearest Jesus, give me eyes and ears of faith to trust that your Word is at work creating a harvest for you. Amen. Some years ago, actor Harrison Ford starred in a motion picture entitled, “Regarding Henry.” Ford portrays a man by the name of Henry Turner. Henry is a successful Manhattan lawyer. He is also callous, cruel, adulterous, unethical, and self-absorbed. His toxic personality made life miserable for his wife and daughter. The family is on the verge of collapse. Then, something happens. Henry walks into a convenience store just as a robbery is about to take place. Bullets fly. Henry gets shot in the head. The trauma he sustains is severe. He nearly dies. Many months pass. After much rehabilitation, Henry is able to walk, and talk, and function as before. But his memory of life before the shooting is still unclear. As he works to fit back into his old life, he slowly learns from others what kind of a man he had once been. The Henry who exists after the shooting discovers that he wants nothing to do with the Henry who existed before the shooting. He becomes a devoted husband, a caring father, a principled lawyer, a faithful friend. Here’s a question: For which man would you rather die to save…the Henry who existed before the shooting, or the Henry who exists after the shooting? Today’s Bible verse tells us that Christ died for us “while we were still sinners.” At a time when hearts of people contained nothing but the bitter bile of sin, at a time when we were all about us and wanted nothing to do with God—at that time God chose to become one of us, to take on himself the punishment for our toxic lives, to die on the cross to wash us clean. That’s the kind of love God has for you in Jesus. It doesn’t depend on what you do for him. It doesn’t depend on what you did for him. God’s love for you in Jesus flows from himself. That simple truth makes me want to be like the Henry who exists after the shooting. No doubt that simple truth makes you want to do the same. Lord Jesus, at a time when I was nothing but sin, you died for me. Now I’m yours by faith alone. Move me by your Spirit to live my life for you. Amen. In the same way, we could call the Israelites hypocrites. They had just received God’s Word through Moses from the top of Mount Sinai. Just months earlier God had delivered them from the hand of Pharaoh as they passed safely through the Red Sea. They were ready to do whatever the Lord their God said. Their hearts of faith were burning in love, fear, and awe for the Lord. The Lord rescued them from slavery in Egypt and was leading them to the Promised Land! Yet, so many times thereafter they showed themselves to be unfaithful to the Lord. They said one thing, but did another. GOD’S WORD FOR TODAY Don’t Underestimate Jesus and His People! On Independence Days people celebrate the growth and power of the nation. Yet there is a more powerful kingdom that has grown up from humble beginnings. It is the kingdom of God, which often makes unnoticeable progress in conquering hearts for Christ. Yet stepping back to look at it you can see its tremendous growth. Those who are part of it will be longing for the final outcome when they are “clothed” with immortal life away from the struggles of the world. NEW TEACHER FURNITURE SHOWER Our new Kindergarten & 1st grade teacher, Rachel Naumann, is moving to Montello this weekend. After living in dormitories for 10 years, she’s moving into her rented home at 55 Church Street. I asked if she needed any furniture, and she answered: “Oh yes, actually! I’m needing any couches or chairs for a living room, any coffee tables also for a living room, and maybe a small dresser or nightstand for the small spare bedroom. And any deck furniture, as the house as a smaller deck out back! Anything extra from anyone would be fantastic!” Please phone, text, or e-mail Rachel with items that you could donate. (847-913-2135 & rachnau94@gmail.com) Photos of items would be appreciated. Free pick up is available. GIFTS TO MISSIONS Three gifts have been made to WELS Mission projects: 1) St. John’s School & Little Lambs gave $644.36 to this year LWMS sponsored Kids C.A.R.E. mission project, Feeding Jesus’ Lambs in Nepal. This will be presented at the LWMS Convention in Green Bay, June 21-24. 2) St. John’s Sunday School gave $488.49 to their 2017-2018 mission project, India Children’s Homes & School. 3) St. John’s freewill offering for Cameroon from Mission Festival Sunday 5/20 was $364.00. Emmanuel’s freewill offering was $125 plus a special $1000 gift from one member. Total gift for Cameroon: $1,489.00. Thank you, God, for these blessings to missions!! As the school year has ended and another year of ministry and activity at St. John’s has come to an end, it’s time to take a little break for the summer and get ready for the fall. It is also the time when the church financial/budget year will be closing as well. The church and school leadership wanted to say thank you for supporting the ministry here at St. Johns Church, School and various other WELS ministry fields. Thank you for bringing your family and friends to church. With the beginning of summer for the students, staff and the multitudes of various activities and sports, comes vacations and family activities, and unfortunately what most churches refer to as the summer slump. The summer slump is where we get too busy doing all the other activities that require our time that regular church attendance takes a back seat. Its where we find ourselves on Sunday morning saying, “I am just going to miss this Sunday to do other (insert your own activity here)” and next thing we know it’s been three months since we set foot in church or into Gods Word. 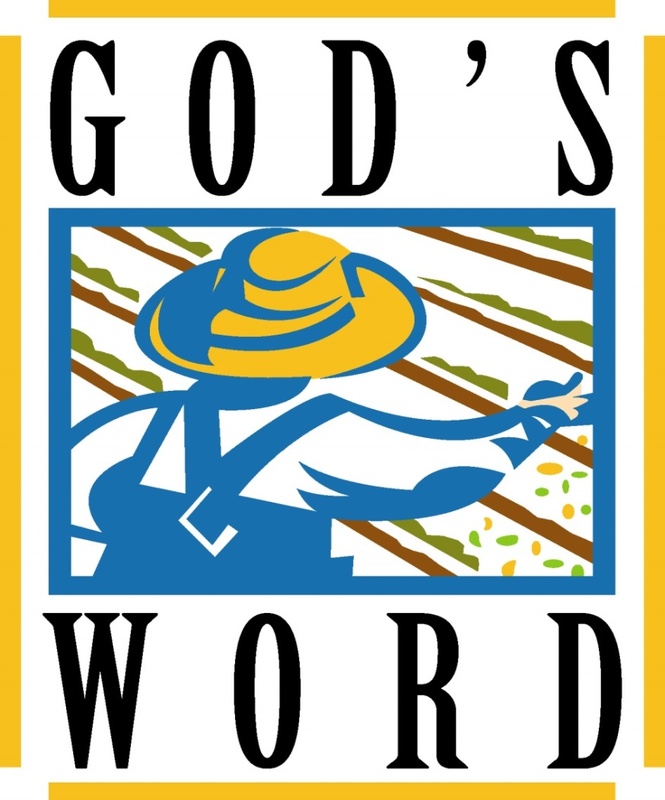 We just want to inform you of various other ways you can stay connected to God and his Word. There are many ways to do this whether you attend Church on Sunday or our Wednesday night service. You also can use technology to your advantage and watch a sermon on line or keep up with your daily devotion through the church website or Time of Grace daily devotions. If you are going on vacation you can use the WELS website to look and see if there is a WELS church near where you are vacationing. You are never far away from Gods word if you don’t want to be. Just ask – there are many options that we can suggest for you. Enjoy your summer time with family and friends. Bring them to church with you. Stay in God’s Word. Make it a part of your summer routine. There is much to be thankful for this last year! Let’s give ourselves one more blessing and avoid the summer slump. It’s that simple and easy. And God promises to bless our efforts in his name. [God] saved us, not because of righteous things we had done, but because of his mercy. He saved us through the washing of rebirth and renewal by the Holy Spirit. Placing labels on people—that’s something the world loves to do. Some labels are encouraging: “You’re a winner…a natural leader…a hero.” Some hurt: “You’re a loser…ignorant…lazy.” In fact, labels can cause all sorts of problems by making some feel arrogant and others feel insecure. But those labels are based on someone else’s opinion, and it’s foolish to let the opinion of others determine how you feel about yourself. However, when it comes to the opinion of God, that’s different. God our Savior has placed a label on you. “Mine,” he says. That’s not just an opinion, it’s a fact because he has done everything necessary to make it true. He has washed away your sin with his precious blood. He has wrapped you in his righteousness. He not only created you, he purchased and won you from sin, death, and the power of the devil. Even the faith you need to believe that saving message is something the Holy Spirit freely provided. Some labels should be ignored, but through baptism, the Holy Spirit has placed a label on you worth pondering every day. You are his own. There is nothing in this world more important and more comforting than knowing that you belong to God your Savior! Holy Spirit, thank you for the priceless gift of baptism. Through this washing of rebirth and renewal, you have made me your own. Constantly remind me of this glorious truth. Amen. Did you ever get the wind knocked out of you? Whether as the result of playing a contact sport or just slipping on some ice and landing on your back, it can be a most anxious feeling. For a few moments you lie there, unable to breathe. Your lungs have been emptied by the jolt, and with your diaphragm temporarily paralyzed, you aren’t able to take in any air. When oxygen is in short supply, panic may set in. Fortunately, it usually isn’t long before your respiratory system begins working again the way it’s supposed to. God created us in such a way that breathing in and out sustains our life. The Bible specifically records the moment the first human took his first breath. “Then the Lord God formed the man from the dust of the ground and breathed into his nostrils the breath of life, and the man became a living being” (Genesis 2:7). More than just filling Adam’s lungs with air, God gave him the gift of spiritual life. In the original languages of the Bible, the words for spirit can also be translated as wind or air. What a beautiful reminder that just as the wind is all around us and yet invisible, so is the Holy Spirit of God. Just as the air we breathe keeps our bodies alive, so the Holy Spirit creates and strengthens spiritual life in us. The Spirit does this through the Word of God which he inspired (breathed into) the prophets and apostles to write about God’s Son, Jesus Christ. Sometimes we can get the spiritual wind knocked out of us. Temptations and troubles, disasters and doubts, can leave us spiritually breathless. When Satan scores a blow to our spiritual breathing, it can unbalance our faith and cause us to become paralyzed with fear. In those moments, ask the Holy Spirit to help you catch your spiritual breath again. Don’t panic but listen as the Spirit points you to your Savior, Jesus who breathed his last on the cross, so that you might live forever with him. Lord God, you created me through the power of the Holy Spirit. When I become winded in this weary world, send your Holy Spirit to breathe new life into me through the good news of my Savior, Jesus Christ. Amen.